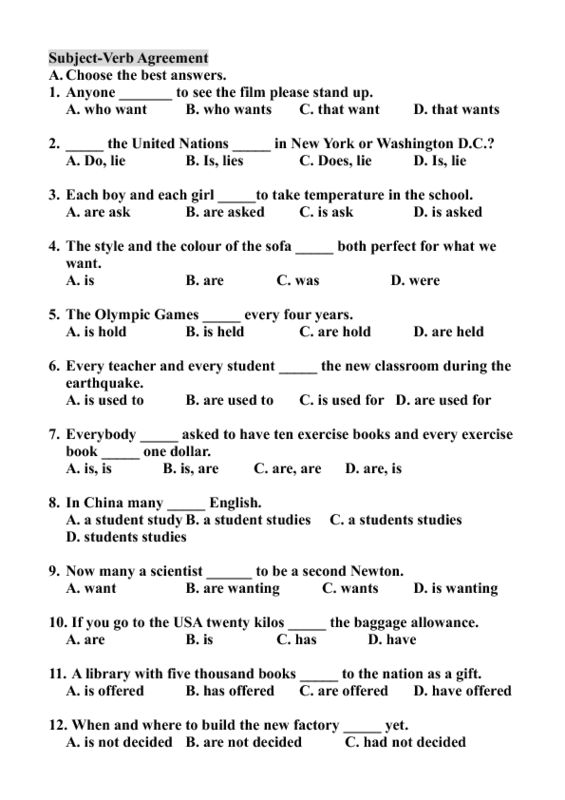 Here is a multiple-choice practice for students. 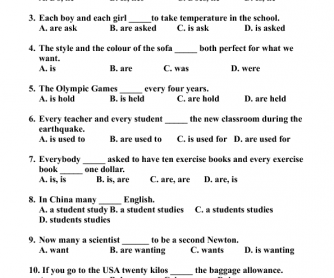 They can have a review of the basic rules of subject-verb agreement they have learnt before. It is for intermediate students. Some basic and also some difficult rules are also included. It is suitable to be done in class as a revision.